Tonight is date night. Choose wisely! Dates are more important than you might think – human survival has depended upon them in many cases. All dates are not the same. The range in appearance and texture is unexpectedly wide. A good date is sweet and gives you a boost of energy, while a bad date can be dry or even tasteless. Selecting the right date can be difficult. 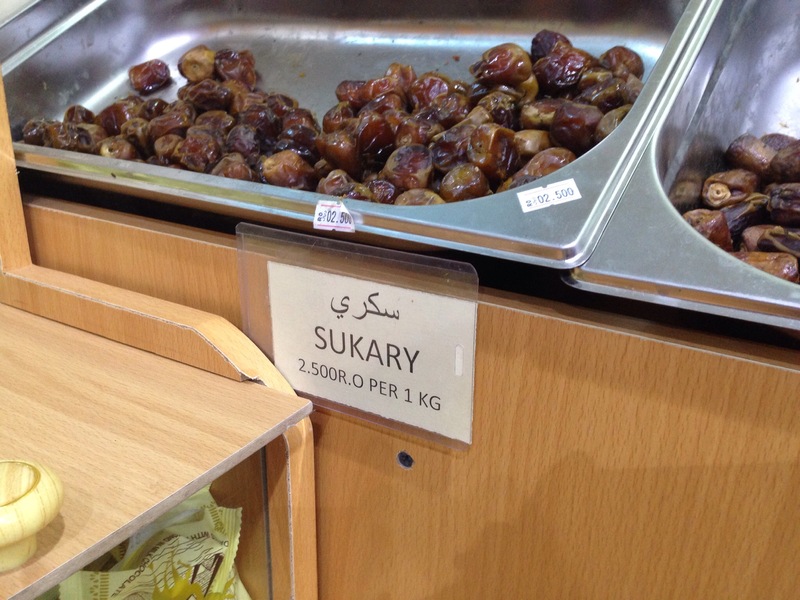 If you know where to look, though, you can really find quality dates. I’ve learned a lot about dates lately, and I’d like to help you navigate the date world. Oh, wait. You saw the title and expected to get the scoop on dates of another kind. Sorry, casual Word Press blogger! Welcome to this lovely food and travel blog! Stay awhile! There’s so much to learn about dates – the desert fruit that’s not just dessert! Horrible entendres aside, visits to the Middle East helped me understand how critical dates have been to the survival of people in arid climates for centuries and why they’re more interesting – not to mention, delicious – than meets the eye. If you’ve ever traveled to the Middle East or North Africa, you may have a different perspective on dates than the rest of us. I grew up having little experience with them other than as a dried, chopped component of muesli or other packaged breakfast cereal. I thought they were odd and usually picked them out. Little did I know how great sun-dried dates can be. Historically, dates were a critical part of the desert culture, diet, and its economy, which was certainly true in Oman. According to a tour guide, dates comprised 60% of the Bedouin diet (fish were the other key staple). Date plantations were big business in the desert, even requiring turret-like watchtowers to protect the precious trees. These plantations are not quite what westerners associate with the term. By western standards, date plantations are small relative to western-style corporate farms or the historic plantations of the American South. Natural pollination is difficult, so farmers do it manually. Local markets still sell the coveted flowers from male palms, which then are used pollinate the female plants by hand (how racy! See, now I’m speaking your language, casual blog reader!). Anyhow, to keep their groves productive, farmers developed clever irrigation systems to move water from the mountains or wadis to the desert plantations. Today, roughly the same technology carries this water as did four hundred years ago (photo above). All of this effort is worth it, as even with such limitations, a single date palm can yield 300 kilograms each year. That’s bang for the buck – or rial, I’d say! In Oman, dates are harvested and enjoyed fresh between the months of June through September – something to anticipate during the oppressive heat of summer. 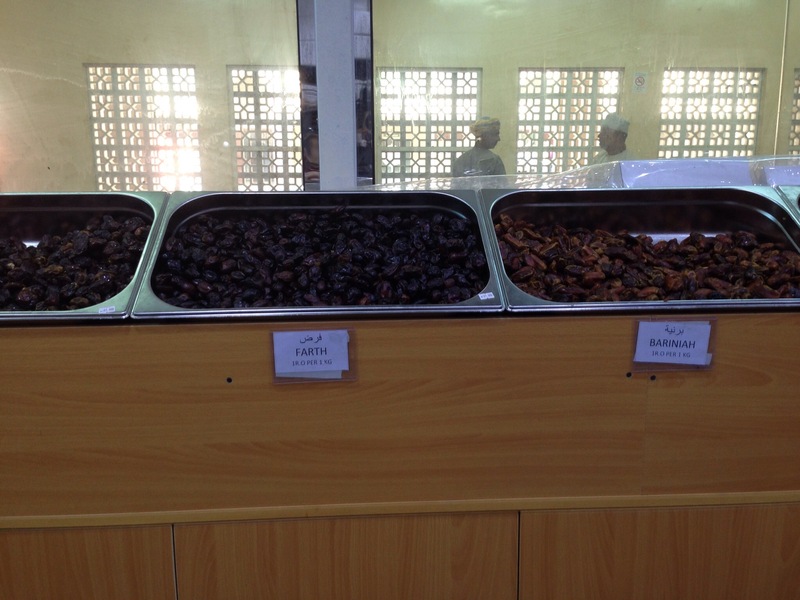 After the harvest, Omanis continue to enjoy sun-dried dates, which are ‘in season’ from October through December. 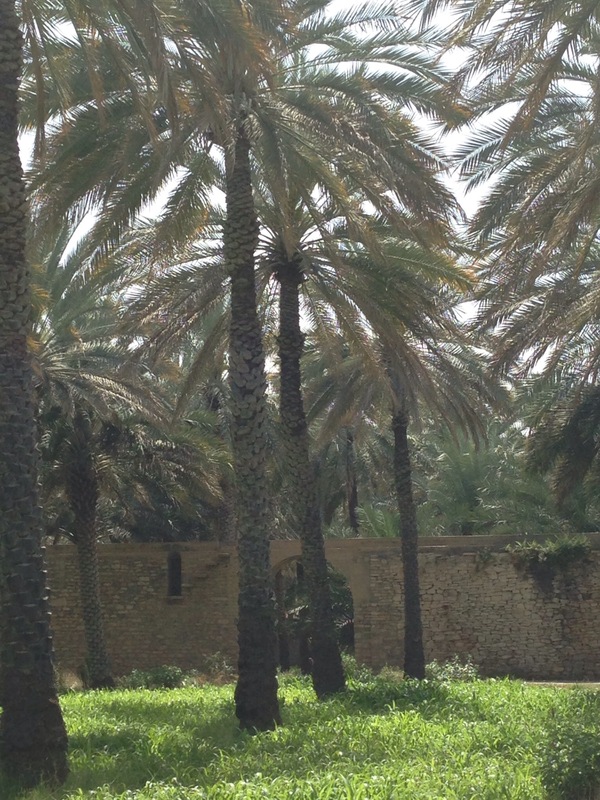 Date palms sustained the Bedouin economy in many more ways than the fruit or as food. Date palms provided wood for construction, fiber for woven mats, baskets, and other home uses, many of which continue today. While dates and fish sustained the average Bedouin tribesman for centuries, the traditional reverence for dates remains today. Good hospitality dictates that if you are a guest of an Omani, you will almost certainly be offered energy-giving dates, accompanied by small cups of black coffee laced with cardamom. The fragrant yet bitter coffee is the perfect counterpoint to balance the sticky sweetness of the dates. For luck, in Islamic tradition, it is best to partake in odd numbers – one, three, or seven at a time. I don’t know about anyone else, but three is enough to give me a sugar crash on an empty morning stomach, though before and after hard manual labor in desert heat, the date would certainly be a quick way to revive oneself. If you’re from Europe, East Asia, or the Americas, you might be surprised to learn that there are an abundance of different varieties of dates. Like coffee, chocolate, wines, or other delicacies, each date variety might have certain notes or aromas reminiscent of other flavors. I tasted some (like the Sukhary variety pictured below, which was the most expensive one we tried) that reminded me of a floral honey. Others were almost toffee-like, while still others reminded me of dried plums. Some were more starchy than others. The side by side taste test I experienced in the famous markets of the former Omani capital city of Nizwa was a great experience. I was happy to bring home a package of dates – most markets offer vacuum-sealed packages for tourists whose customs and agricultural authorities are restrictive. The sugar crash wasn’t great, but it definitely gave us an energy boost! So where do you go for good dates? Why, the desert, of course!